For a very long time now the internet has been flooded with videos and photos of objects people were able to capture and report as unknown. Many of the photos and videos were groups of brightly lit orbs flying in formation across the night sky. The sightings of the orbs are often reported as red, orange or bright white in color. Many are seen in formation flying across the sky at the same speed and altitude. Usually the reaction to this type of sighting is met with the answer of Chinese Lanterns being sent out in to the night by way of some human celebration making them known and explained. I admit that I have been confused about the issue of orbs and Chinese Lanterns . Like many people I have seen groups of orbs out over the Atlantic Ocean and have been unsure of what I was looking at. I also have clearly seen objects I knew without question were not lanterns, balloons or planes. 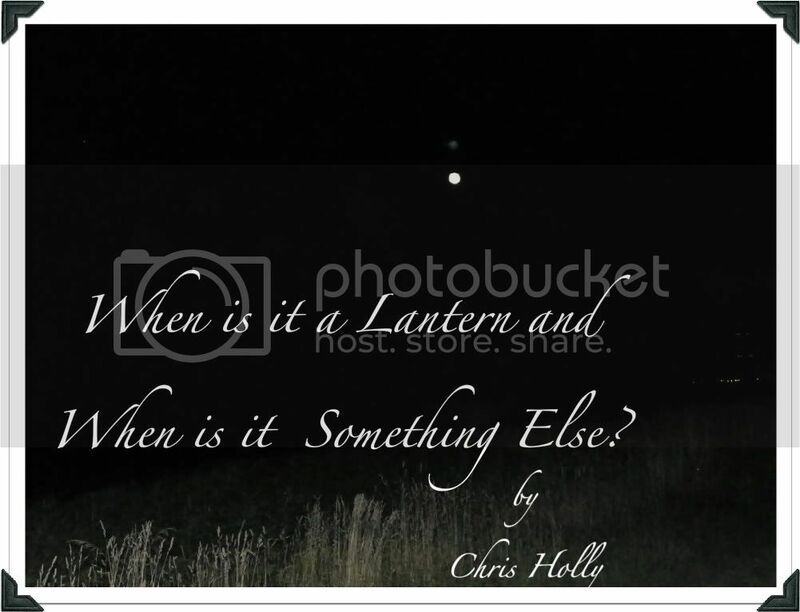 The issue of lanterns or Orbs was a ongoing confusion for me up to this past weekend. On July 16th I attended a fantastic wedding on the beachfront of the Long Island Sound on the north shore of Long Island New York facing the state of Connecticut. The wedding ceremony was held on the beach however the wedding reception was held on a large pasture on a cliff overlooking the beach and the long Island Sound. The night was simply beautiful and clear with a large bright full moon. It was a picture perfect day and a glorious night making the wedding a fabulous occasion. Once the night was in full swing and the sky dark and clear the wedding party gathered on the beach below the cliff where the large tent and party was taking place and lit and sent up and over the water a hundred brightly lit orange lanterns. It was the first time I had seen this done and was fascinated by it. The lanterns were brilliant against the dark sky as they slowly lifted from the beach glowing a bright orange as they floated in line one after the other in to the night. The group of lanterns followed each other as the wind pushed them off shore in the direction it was blowing across the water. The lanterns all lifted to about the same level over the water and slowly followed the same path above the Long Island Sound. They looked about the size of a large beach ball at close range but soon became small balls of light as they drifted out over the water. Of course there was no sound other then the band playing in the background in the wedding tent. It was a lovely sight as the lanterns lifted in to the night and drifted over the water until they disappeared in to the dark night. I had my camera with me and took pictures of the lanterns which I will include with this article. At long last by way of first hand comparison I knew the difference between Lanterns and unknown objects. The lanterns the wedding party sent out over the water were called 'Wish Lanterns' . I did look up the difference between the more popular known Chinese Lanterns and the ones used at this wedding and found they are very much the same type of lantern. The lanterns at close range are very bright and seem rather large however as soon as they take flight they become small with distance and obviously not big enough to be considered any type of craft. The lanterns did fly in a formation by way of the wind. They followed the air stream above the water and did form a line as they floated out over the water. The formation however did lose its form as they drifted away with some lanterns diming out completely falling to the water below. The lanterns did not change speed or direction . Once sent on their way from the shore they kept in line with the wind until they burned out . They did not hold any ridged formation only a similar path . Once the lanterns were out over the water they quickly became too small to clearly distinguish and were lost to the night sky. This was an enlightening night for me as I now know without question the difference between Orbs, strange lights flying in formation and lanterns. I now know it is ridiculous to tag the label of Chinese lanterns or any celebration lanterns to sightings of brightly lit orbs flying in tight formations at high altitudes over large land masses. Lanterns could never hold the formations I have seen in many videos or photos or change direction nor can they be clearly seen from the distances the videos and photos show them . I remember watching a video of a large group of white orbs flying in a obvious formation over a mountain range. In the video the formation of objects changed direction keeping a tight formation before breaking into other patterns of smaller formations as they flew across the night sky. This sighting was quickly dismissed as a lantern mass and quickly the public accepted this answer and simply ignored the event. I was once confused on this issue however after enjoying this fantastic wedding overlooking the water and watching the hundred lanterns set out over the water in to the night I know without question what lanterns look like and behave like and what they cannot and do not do. I also now know that many of those so called Chinese lantern reports we all fluff off without thought are our mistake and our error. Next time you see a large formation of unknown objects large enough to be seen at a great distance that are bright enough to be filmed from a far distance, flying in formation, changing direction and speed- consider the fact you are looking at the unknown. The Chinese lantern theory just does not hold water . If you do not believe me buy a bunch of lanterns and send them off. You can easily test this for your own satisfaction. From now on I will be more careful before I accept what I am told and will remind myself that the easy quick answer is usually not the right answer.